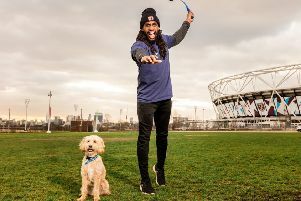 Many Happy Returns to Flo - (108 in total)! 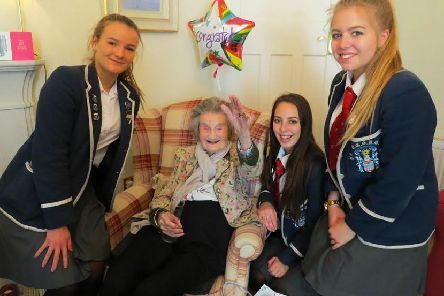 Hutcheson Grammar School’s oldest former pupil, Flo Smith, had a celebration fit for Royalty when she marked her 108th birthday on Friday, April 21. 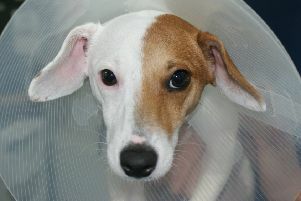 It was a complex and time-consuming operation for award-winning veterinary surgeon Ross Allan at The Pets’n’Vets Roundhouse Vet hospital on the southside, who has just succesfully performed gender reassignment surgery on a Jack Russell Terrier. 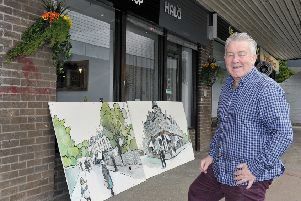 The owner of a hair salon is looking for a new home for two beautiful paintings of Bearsden Cross which were painted by a local artist. 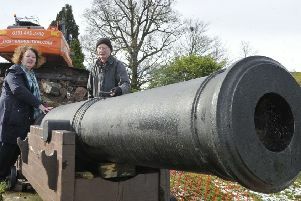 The riddle of a military cannon which was found in the garden of a house has finally been solved – with help from members of a historical society. 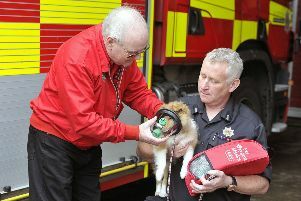 Three East Dunbartonshire fire stations have been given special new equipment which can be used to save a family’s much loved pet in a house fire. 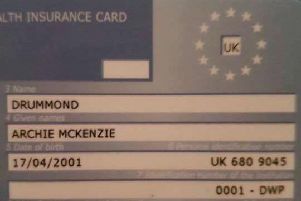 A 15-year-old who lost his wallet on Iceland is now the subject of a search by the man who found it. 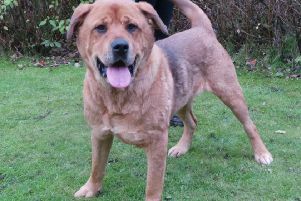 It’s National Winnie the Pooh Day today (January 18) and Dogs Trust Glasgow is hoping to find a home for their very own Winnie the Pooh lookalike, who has fittingly been named ‘Bear’ by his adoring canine carers. It’s a world first for Domino’s and Shawlands! 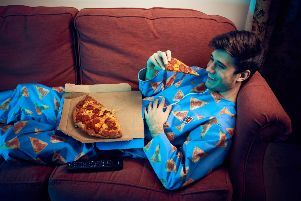 Domino’s is taking its first step into fashion with the world’s first ‘wipeable’ onesie – designed so pizza fans can eat in comfort without any fear of sauce spillage. Have you a head for heights? Events in the Sky is proud to announce the arrival of Glasgow in the Sky for the very first time in 2017. 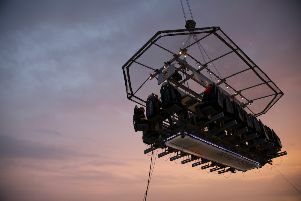 Following its huge success in London, where the first public event in the UK was launched in 2014, next year will see Events in the Sky visit five UK cities including Glasgow, offering the public a once in a lifetime opportunity to dine in the sky. 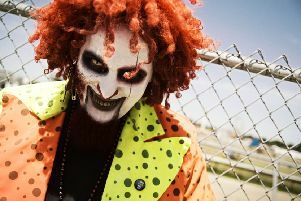 Police have warned that pranksters who are posing as ‘killer clowns’ to terrify people could face arrest. With the combines starting to roll across the region’s fields for this year’s harvest, the Country Land and Business Association (CLA) is appealing for the public not to release Chinese lanterns. BEARSDEN Music star Darius Campbell is urging people across East Dunbartonshire to buy a virtual coffee for charity.